Are you Ingvar Ómarsson? Do you want to add more info to your profile? Feel free to contact us. Ingvar Omarsson - cyclist added a new photo to the album: Instagram Photos. Ingvar Omarsson - cyclist added 3 new photos to the album: Instagram Photos. Ingvar Omarsson - cyclist updated their profile picture. Ingvar Omarsson - cyclist added 2 new photos to the album: Instagram Photos. I'm a numbers man, and spend a fair amount of time analyzing training and racing with the use of my heart rate monitor, and power meters. Here's an interesting view of my racing history in the past 2 years, with statistics for heart rate and power. What do you think is the most obvious improvement? 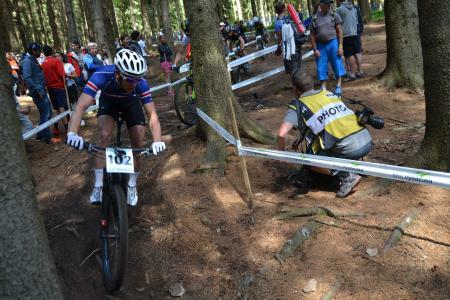 Ingvar Omarsson - cyclist was feeling sick in Oslo. Ingvar Omarsson - cyclist added 8 new photos to the album: XCO - UCI C1 La Montagnetta — at Parco Monte Stella, Milano. Ingvar Omarsson - cyclist added a new photo to the album: XCO - UCI C1 La Montagnetta — at Parco Monte Stella, Milano.